I first made this black bean and sweet potato burger over 4 years ago and it’s the one veggie burger that I keep coming back to over and over again. Not only is it super flavorful and hearty, it also holds together without an excess of breadcrumbs or eggs. I find that’s the problem with most homemade veggie burgers; they are either too mushy or packed with too much breadcrumbs to hold them together that they lack any real flavor. As a bonus, this one is vegan and gluten-free, relying on brown rice and rolled oats as binders instead. I’ve just started going through some of my older posts and updating them again and this is the first one I’m resharing. There is just something so perfect about creamy, slightly sugary sweet potatoes and hearty black beans. 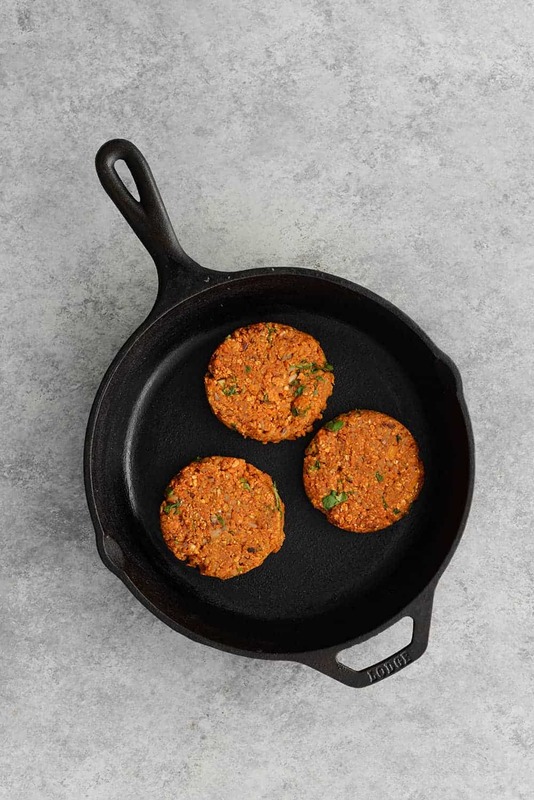 Add a bit of cumin and chili powder and you’ve got a winning combination for a zillion different creations, especially this sweet potato & black bean burger. The best thing about this patty is that it’s perfect the day of or made ahead of time and placed in the freezer. Since I love the convenience of frozen burgers, I tend to make a bunch of these to have for dinner that night and freeze for later. Do you ever make your own burger patties? What are your favorite flavor combinations? 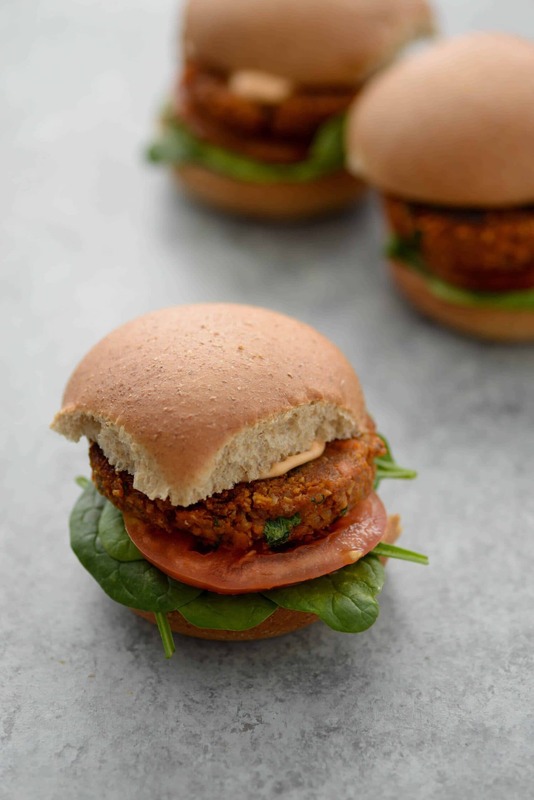 Sweet Potato Black Bean Burgers! 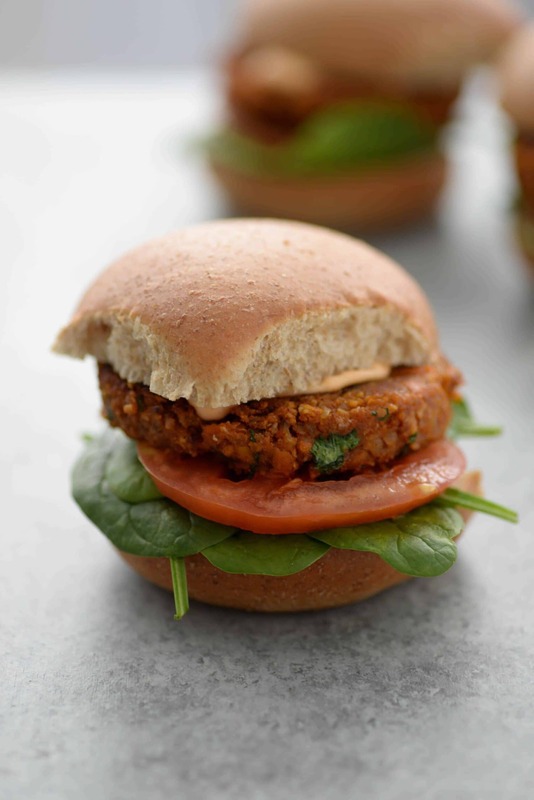 Vegan and gluten-free patty! 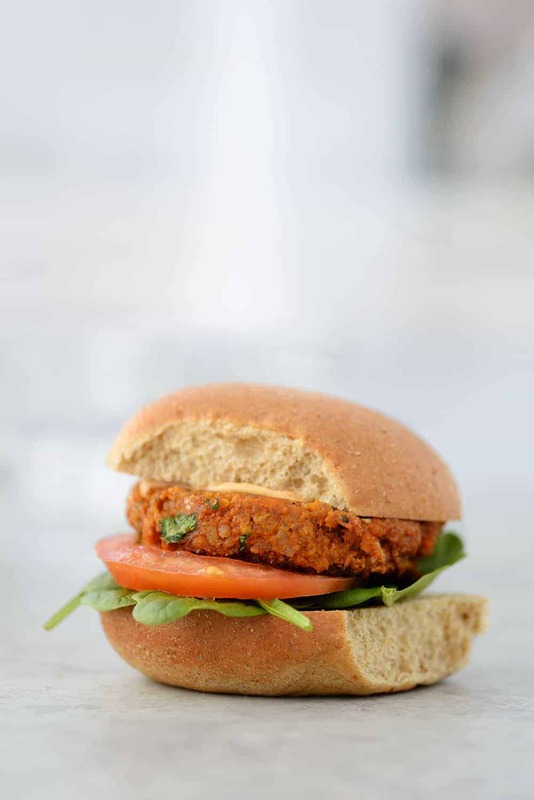 You’ve gotta try this healthy plant-based veggie burger, holds together without breadcrumbs and perfectly spiced! While the potatoes are cooking, make the rice. Set aside. 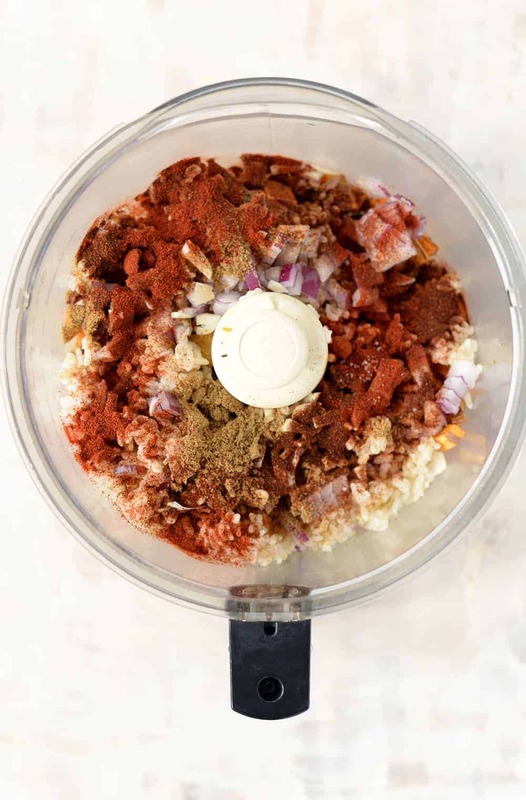 In a food processor, add the oats, cumin, chili powder, paprika, cayenne and pulse 10 times. Place the spice and oat mixture into a large bowl. Add the sweet potato, brown rice, black beans, red onion and garlic to the bowl of the food processor and grind until combined and slightly chunky. You don’t want it to be completely pureed but it should be able to stick together fairly easily. Add the sweet potato mixture to the oat mixture along with the minced cilantro and stir together until combined. Place the mixture into the fridge for at least 20 minutes to cool and form an easier patty. Preheat a non-stick pan (preferably cast-iron) to medium heat. Lightly oil with more olive oil or with cooking spray. Scoop out ~1/2 cup of the mixture and form into a patty. Place patty into the pre-heated pan and cook for 4-5 minutes per side until crispy and lightly-browned. Place on toasted bun and serve with toppings of choice. For completely gluten-free burger, use a gluten-free bun and certified gluten-free oats. This recipe looks delicious! 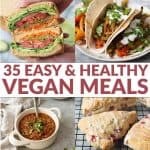 I write blog articles for a company called MealEnders. A MealEnder is a lozange that can help beat overeating, master portion control, and curb snacking using behavioral & sensory science. We want to link to this recipe in an article about summer grilling. Do you think this burger could be grilled? Thank you!! I don’t know if these can be grilled; they might be a little soft for that. Love how you styled this burger too – worthy of any carnivore! Making these right now! Do you cook the oats before adding them into the food processor? No, the oats are raw. Thanks! Hi! What do I do if I don’t have a food processor? Can I use my magic bullet? Or buy oat flour? 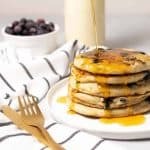 Yes, you can just purchase oat flour or sub another type of flour. Do you think I can use farro instead of rice? Hi Megan, farro won’t be as sticky as rice, so you might need to add more binders to get them to hold together. If you aren’t vegan, an egg will work or an flax-egg. Okay. So you suggest me trying an egg flax instead of rice or Fargo? Thank you. Hi Megan, sorry for the confusion- if you use farro it might not bind the same way. I suggest try it and then see; if it sticks together- awesome! If not, then add an egg or a “flax egg”- mixing 1 tablespoon ground flax seed with 3 tablespoons water until gelled. No worries, thank you for clarifying. I made them last night with farro and I didn’t need to add a flax egg. They turned out perfect! Thank you!